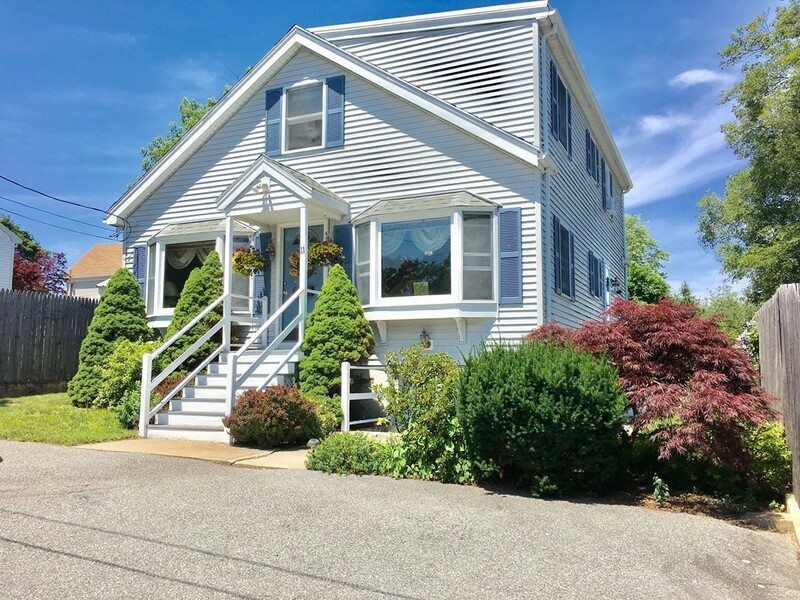 CUSTOM FULL DORMERED CAPE STYLE HOME BUILT IN 1992... This BEAUTIFUL HOME has 2+Bedrooms and 2.5 Baths... First Floor offers EAT IN KITCHEN w/CENTER ISLAND overlooking DINING ROOM w/HARDWOOD FLOORS and WALL AC w/FRENCH DOORS that lead to FRESHLY PAINTED OVERSIZED 2-TIER DECK, Good Sized LIVING ROOM w/GAS FIREPLACE and 2 BAY/BOW WINDOWS and Full Tiled Bath w/Washer/Dryer Hook-ups with Laundry Chute... 2nd Floor offers 2 GENEROUS SIZE BEDROOMS w/Custom Size Closets and Full Tiled Bath w/Tub & Shower... Lower Level offers 3rd possible BEDROOM or FAMILY ROOM/AUPAIR SUITE with KITCHENETTE and Full Bath w/Shower Stall and Walk-out access... BRIGHT & SUNNY HOME... OPEN FLOOR PLAN... ANDERSON WINDOWS... 3-ZONE GAS HEATING SYSTEM(2013)...ROOF(2013)... HOT WATER TANK(2013)... BEAUTIFUL LANDSCAPED GROUNDS WITH PERENNIALS... FENCED IN YARD... MOVE RIGHT IN...A PLEASURE TO SHOW!! !